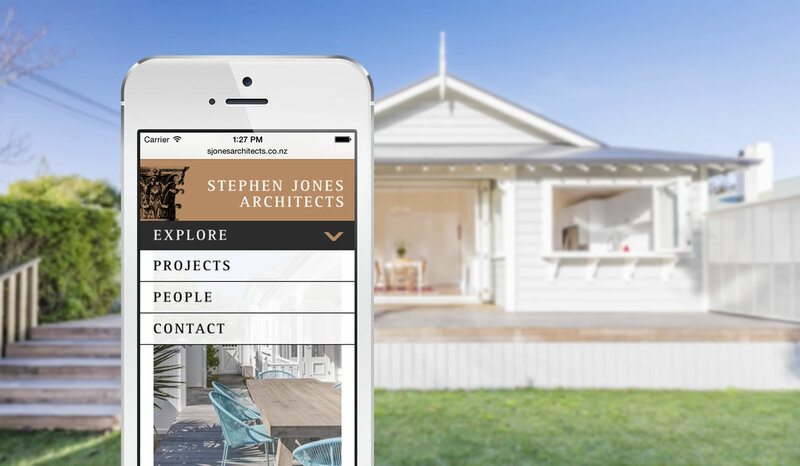 Website Projects • Our Work • Client : Stephen Jones Architects. E-commerce + Retail, Catalogue, Distributor, Responsive, Company + Profile website developed by TANK Web Supply, Auckland, New Zealand. Our neighbours next door asked us to refresh their online presence and bring it into the modern world. The solution delivered is a compelling, responsive website which can be easily maintained by our CMS, and works seamlessly across multiple devices.